Ronnie is our rough and tumble pre-teen, who is larger than life. 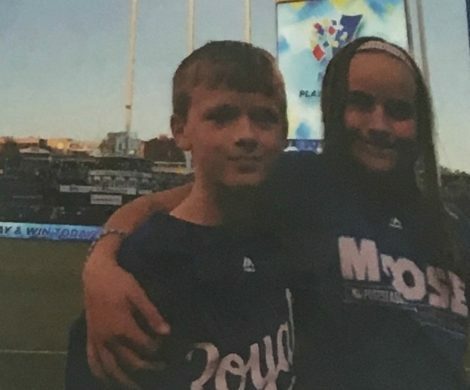 He's all boy: he loves baseball, the Kansas City Royals, and rough-housing with his sister Kate. We think the two of them make a pretty great team. 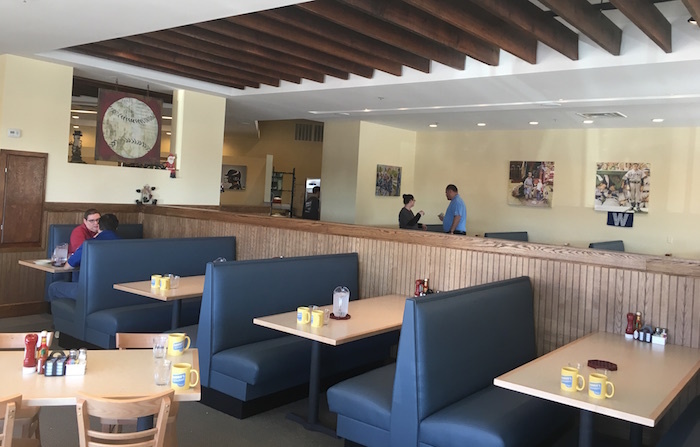 We wanted to capture Ronnie's adventurous spirit at Ronnie's Restaurant, with plenty of open space for you to bring the entire family or your co-workers for a down-home meal made from scratch every time you visit. Even if you're flying solo, we can't wait to learn your name and get to know you. Located in Lenexa, Kan., Ronnie's Restaurant serves up all your favorite Kate's Kitchen classics, like batches of fluffy, homemade pancakes or our famous hand-breaded chicken tenders. There's something for everyone here at Ronnie's Restaurant. Like our sweet Kate, Ronnie is a blessing to everyone he meets. You may catch him escorting guests to a table or counting out your change. Rest assured, you'll leave Ronnie's Restaurant with an empty plate and a full heart. We can't wait to meet you!